I like Aristotélēs (Aristole) and his writings, and browsing around his History of Animals (written circa 330 BC) I extracted some parts related to horses. Well, let us begin, just note that these are Arystotle's observation (IV c BC) on the biology of horses and alike, so perhaps more interesting to those into the breeding or history of science etc. So if you are brave and willing, plunge in. Of female animals the mare is the most sexually wanton, and next in order comes the cow. In fact, the mare is said to go a-horsing [hippomania]; and the term derived from the habits of this one animal serves as a term of abuse applicable to such females of the human species as are unbridled in the way of sexual appetite. This is the common phenomenon as observed in the sow when she is said to go a-boaring. The mare is said also about this time to get wind-impregnated if not impregnated by the stallion, and for this reason in Crete they never remove the stallion from the mares; for when the mare gets into this condition she runs away from all other horses. The mares under these circumstances fly invariably either northwards or southwards, and never towards either east or west. When this complaint is on them they allow no one to approach, until either they are exhausted with fatigue or have reached the sea. Under either of these circumstances they discharge a certain substance 'hippomanes', the title given to a growth on a new-born foal; this resembles the sow-virus, and is in great request amongst women who deal in drugs and potions. About horsing time the mares huddle closer together, are continually switching their tails, their neigh is abnormal in sound, and from the sexual organ there flows a liquid resembling genital sperm, but much thinner than the sperm of the male. It is this substance that some call hippomanes, instead of the growth found on the foal; they say it is extremely difficult to get as it oozes out only in small drops at a time. Mares also, when in heat, discharge urine frequently, and frisk with one another. Such are the phenomena connected with the horse. The stallion recognizes by the scent the mares that form his company [herd, harem], even though they have been together only a few days before breeding time: if they get mixed up with other mares, the stallion bites and drives away the interlopers. He feeds apart, accompanied by his own troop of mares. Each stallion has assigned to him about thirty mares or even somewhat more; when a strange stallion approaches, he huddles his mares into a close ring[circle], runs round them, then advances to the encounter of the newcomer; if one of the mares make a movement, he bites her and drives her back. 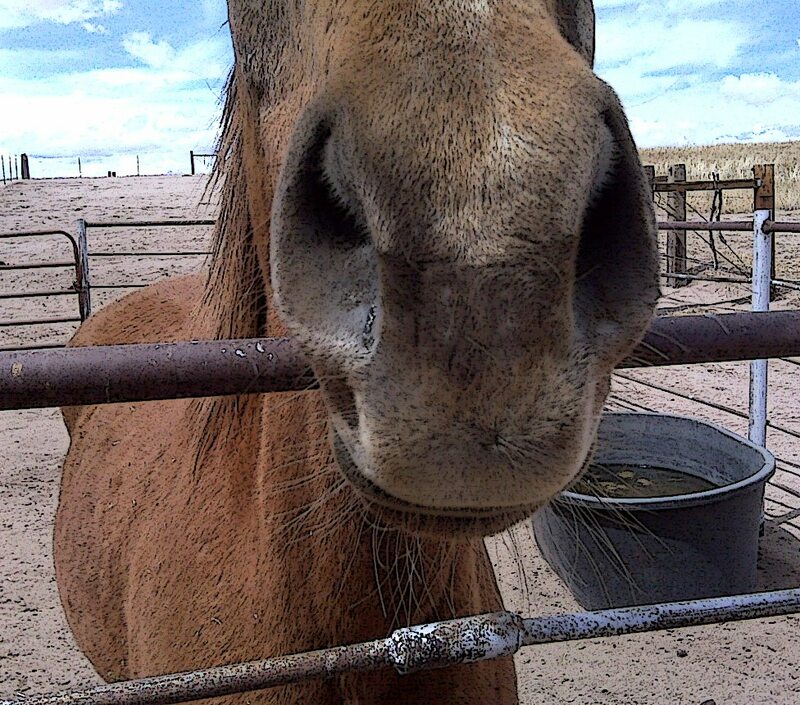 Of all quadrupeds the mare is the most easily delivered of its young, exhibits the least amount of discharge after parturition, and emits the least amount of blood; that is to say, of all animals in proportion to size. With kine and mares menstruation usually manifests itself at intervals of two, four, and six months; but, unless one be constantly attending to and thoroughly acquainted with such animals, it is difficult to verify the circumstance, and the result is that many people are under the belief that the process never takes place with these animals at all. 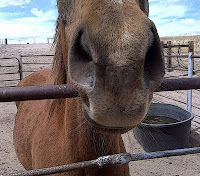 With mules menstruation never takes place, but the urine of the female is thicker than the urine of the male. Horses, mules, and asses feed on corn and grass, but are fattened chiefly by drink. Just in proportion as beasts of burden drink water, so will they more or less enjoy their food, and a place will give good or bad feeding according as the water is good or bad. Green corn, while ripening, will give a smooth coat; but such corn is injurious if the spikes are too stiff and sharp. The first crop of clover is unwholesome, and so is clover over which ill-scented water runs; for the clover is sure to get the taint of the water. Cattle like clear water for drinking; but the horse in this respect resembles the camel, for the camel likes turbid and thick water, and will never drink from a stream until he has trampled it into a turbid condition. When mares with their colts pasture together in the same field, if one dam dies the others will take up the rearing of the colt. In point of fact, the mare appears to be singularly prone by nature to maternal fondness; in proof whereof a barren mare will steal the foal from its dam, will tend it with all the solicitude of a mother, but, as it will be unprovided with mother's milk, its solicitude will prove fatal to its charge.